Former Deputy National Publicity Secretary of the All Progressivea Congress (APC) Comrade Timi Frank, has asked President Muhammadu Buhari to emulate former President Goodluck Jonathan, and prepare to concede defeat in 2019. According to Frank, all indications have shown that history will repeat itself in 2019 presidential election. In a statement issued in Abuja on Wednesday, to congratulate former President Jonathan on his 61st birthday and the launch of his historic book, Frank said the former President has written his name in gold for allowing democracy to survive even when he had power to truncate it. Frank said the calibre of persons that attended his book launch on Tuesday showed that the former President is more popular, acceptable and he’s seen as an hero of democracy. The statement urged President Muhammadu Buhari to get a copy of the book and not only read but turn it to handout on democratic lecture. Frank said most Nigerians, including him, did not value the fresh air ex-President Jonathan brought to Nigeria untill the current administration took over in 2015. "The change we brought (which I sincerely regret)has turned to chain that has destroyed all the good legacies my older brother Jonathan left behind. "Under APC government today, bloodshed, which Jonathan discouraged is now the order of the day, Killings and corruption are more pronounced than before. 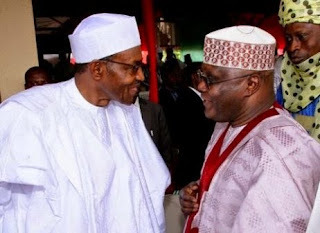 The former APC chieftain said from the information available to him, President Buhari is not ready to handover if he loses in 2019, "that is why he dragged the military which is meant to be neutral to attend his 'Next Level campaign launch. "Nigerians will not forget the role Buhari played after the 2011 general elections which he lost . His undemocratic tendencies engineered the crisis that later claimed several lives, including some Corps members innocently serving their fatherland. "I, therefore urge the incumbent to prepare his hand-over note, learn a shock-absorber tactics from former President Jonathan should he lose the election in 2019”.Frank stated.